Darth Vader, Lord of the Sith. Unframed paper giclee art print inspired by A New Hope. Limited edition, signed by artist Jerry Vanderstelt! Measures 19-inches tall x 13-inches wide. 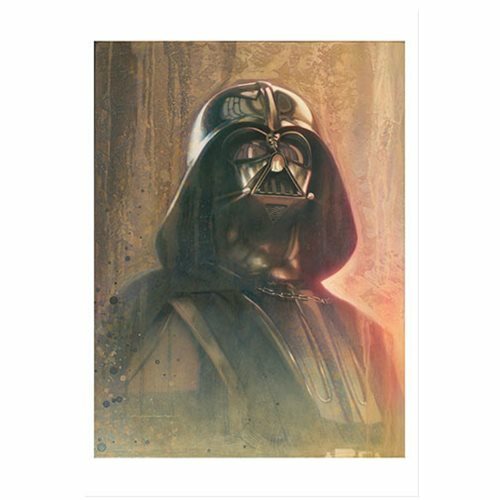 Immortalizing the key and unforgettable characters from Star Wars, the Timeless Series from Acme Archives presents this proud Star Wars Timeless Series Darth Vader by Jerry Vanderstelt Paper Giclee Art Print inspired by A New Hope. An unframed limited edition - signed by the artist - it measures 19-inches tall x 13-inches wide (image size 16-inches x 12-inches) and includes a certificate of authenticity.